Journals and presented at several international conferences in the area of ICT. He also lectures and supervises students pursuing post graduate studies. Fredrick serves on the Eastern Africa Resilience Innovation Lab (EA RiLab) Innovation Advisory Board. “I esteem research because of my extended love for knowledge acquisition and sharing”. Fredrick E. Kitoogo, PhD, PMP, ITIL, ISO 20000, CGEIT, enjoys over 25 years’ experience and a rising ICT, Research, Innovation and Project Management Executive known for cutting millions in IT expenditure and driving business innovation leveraging IT Governance, Project Management, Data Science, and Risk Management techniques to accelerate business growth and gain competitive advantage. Possesses multisector enterprise governance, compliance and business transformation expertise. He serves as Director of Planning, Research and Development at the National Information Technology Authority of Uganda (NITA-U). Fredrick is currently in charge of developing Uganda National Information Technology (IT) Policies, Standards, Processes, Procedures, and Guidelines; monitoring the utilization of IT in the Public and Private Sector; a Certification framework of IT Products, Services, Training and Professionals; the IT Project Management Methodology; IT Research & Innovation and supervision of National IT Capacity Building. Fredrick has held critical leadership roles with leading agencies including the Uganda Judiciary as CIO. He offers deep research expertise and has published widely in several international Journals and presented at several international conferences in the area of ICT. He also lectures and supervises students pursuing post graduate studies. Irene heads the research and development function at Uganda’s Communications sector regulatory authority – the Uganda Communications Commission (UCC), whose mandates covers the broadcasting, postal and telecommunications services. She possesses extensive experience in sector planning, policy development, licensing, Standards development and implementation of related initiatives such as quality of services regulation, numbering resource management as well as conducting research studies. In her current role, Irene has enhanced the Commission’s collaborations and engagements towards enhancement of ICT research and innovation as well as programs geared to development of ICT for environmental sustainability. In addition to research and development, Irene is the Corporate Coordinator for UCC. She holds a Masters in Economic Management and Policy from University of Strathclyde in United Kingdom, a Masters in Communications Systems and Signal Processing from University of Bristol in United Kingdom, and a Bachelors Degree in Electrical Engineering from Makerere University. 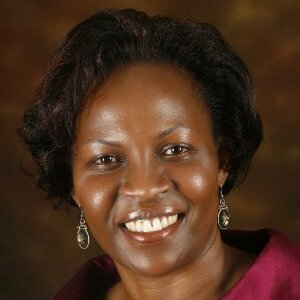 Ms. Ruth Ojiambo Ochieng is a strategic advisor on Women Peace and Human Security. A passionately committed, self-driven and motivated human rights defender, researcher and teambuilding leader, whose strength lies in building alliances and collaborative agendas between the marginalized, the elite and the policymakers so as to challenge injustices, prejudice, taboos and stigma related to women’s rights. Spearheaded the development of different tools enabling the establishment of effective programmes during her tenure at Isis-WICCE, an international feminist organization based in Uganda, that have amplified women’s voices and influenced post conflict decision making, and programming at all levels. Coordinated several studies on women’s realities in situations of armed conflicts and has been actively involved in issues of conflict resolution and peace building in the Great Lakes sub region and beyond. Mobilized resources to facilitate skills enhancement of women’s leadership in communities affected by conflicts such as Uganda, South Sudan, Liberia, Sierra Leone, DRC, Nepal and Kashmir in India, and for organizing emergency healing camps for women’s body, mind and spirit. These processes led to the development of manuals centred on women’s human rights for use in training of activists and practitioners. She has authored many papers and articles and coordinated the development of an array of video documentaries on Women, Conflict and Human Security, which has contributing to the feminist body of knowledge that has been instrumental in informing national, regional and international policies and frameworks. Ruth’s work in the area of women peace and security has earned her a wide range of leadership positions in many institutions and women’s networks at national, regional and international levels. She has received several recognition among them are Ford Foundation for her distinguished achievements in the area of peace and security, 2015; and the Best Gender and ICT award by the Global Knowledge Partnership, 2003. Ruth holds an M.A. in Communications Policy Studies and a B.Sc. in Information and Communications. Prof. Elly Sabiiti, is a Professor at the Department of Agricultural Production, College of Agriculture and Environmental Sciences (CAES), Makerere University. papers. He has supervised and mentored 27 graduate students at masters and PhD levels. Prof. Sabiiti is a Fellow of the Third World Academy of Sciences (TWAS), African Academy of Sciences (AAS) and Uganda National Academy of Sciences (UNAS) and a former Vice President of UNAS, a body of eminent Scientists in Uganda who promote science and technology for prosperity for all Ugandans. Prof. Sabiiti has won Presidential Excellence Award in Science, Technology and Institutional Development as well as Makerere University Vice Chancellor’s Academic Excellence Award in recognition of innovative research, among the several national, regional and international recognitions. 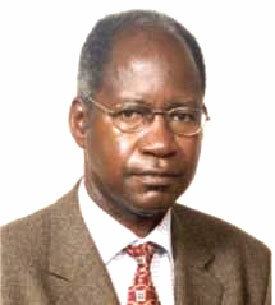 Prof. Sabiiti was born on November 12, 1951 in Mbarara, Uganda and is married with six children. 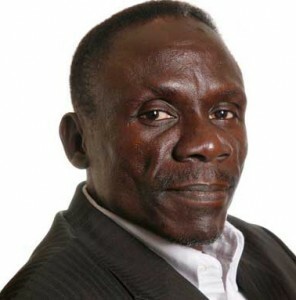 He has served on several national and international committees/boards including National Environment Management Authority (NEMA), National Agricultural Advisory Services (NAADS), Uganda National Examinations Board (UNEB), National Agricultural Research Organization (NARO), TWAS and AAS. 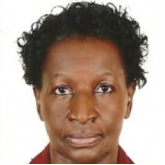 Catherine Kanabahita is the Director of the Gender Mainstreaming Directorate (GMD), Makerere University whose mandate is to mainstream gender in the university functions of teaching, learning, research and innovations. Key initiatives include: offering scholarships to disadvantaged female students, promoting women into leadership, mainstreaming gender in policies and the curriculum, gender and leadership training among students, gender planning and budgeting in University Colleges. talented but economically disadvantaged students from Africa to access higher education at Makerere University from 2013 to 2023. She has also overseen projects supported by Sida- SAREC, Government of Norway worth US $ 6m and she is the coordinator of US $1m matching grant of Carnegie Corporation of New York to support bright but disadvantaged girls to access higher education. Catherine was a member of the taskforce that developed the Makerere University Strategic Plan (2008-2018) and was the Vice Chairperson of the Administration and Financial Reforms Sub- Committee of the Makerere University Research Administration Reforms (URAFR, 2008-2011). She was also the Communications Coordinator for the Change Management Committee to oversee the implementation of the URAFR recommendations. Catherine holds a Degree in Mass Communication and a Masters Degree in Gender Studies from Makerere University. 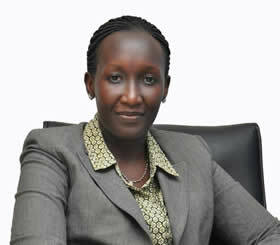 She holds a Masters Degree in Business Administration from Edinburgh Business School, Heriot Watt University. Prior to joining Makerere University, she worked as a Gender Advisor with the Royal Netherlands Embassy in Uganda, a Sponsor Relations Coordinator with Compassion International, Public Relations Officer with Uganda Tourism Board and Communications Officer with World Vision International. She is highly skilled in communication, strategic management, project management, leadership and organizational development. 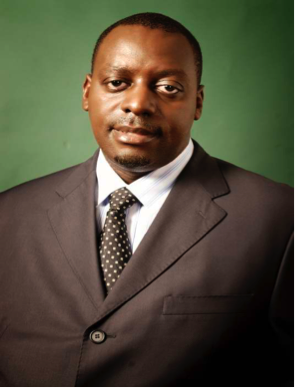 Walter Odongo Ogwal is fulltime employee of GroFin as the Regional Investment Director for East Africa. A former senior banker, Walter is responsible for GroFin’s overall business, operational and growth objectives in the East Africa region. A passionate growth finance professional, Mr. Ogwal is also a permanent member of the Investment Committee that oversees acquisitions in GroFin’s franchises in Africa and the Middle East. Prior to joining GroFin, Walter worked with two major international commercial banks where he had training and attachment stints at both regional and international centers of excellence. He has extensive experience in corporate, small and medium-sized enterprise finance, mortgages (real estate finance), foreign exchange and global market operations, strategic and operations risk management. In between his banking and fund management careers, Walter was a Lead Strategist on a multi-disciplinary team retained to formulate a World Bank funded ‘Trade and Industrial Policy Framework’ for one of the states in the region. Mr. Ogwal is a board member of GroFin Uganda, GroFin SGB Fund Uganda and the Private Sector Foundation of Uganda (PSFU) as well as Chairman of The Finance and Other Resources Committee of the PSFU Board. He holds an MBA (Finance elective) and CIMA Dip MA. The proud father is married to Carolyn and together they relish the love of their children.